A robot dentist created in China has successfully performed dental surgery on a patient without human input. The robot implanted two artificial teeth within the margin of error required for the specific type of operation it was performing. 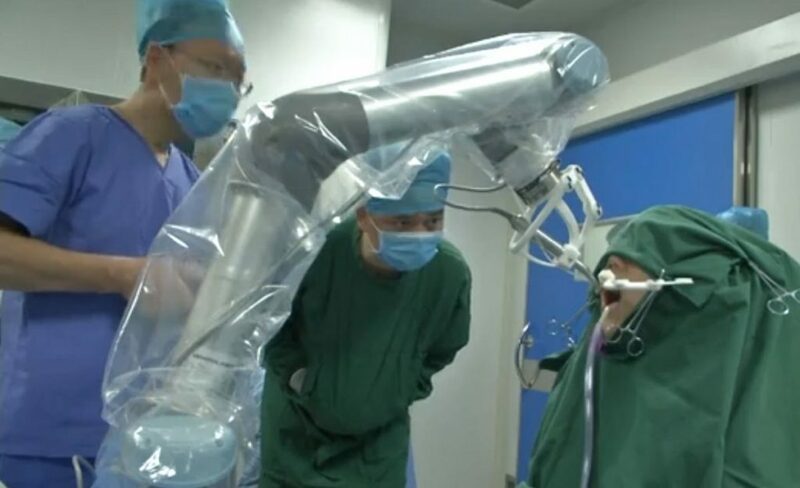 A robot dentist in China has successfully operated on a human patient without human input and, more importantly, without any harm coming to the patient. The South China Morning Post reports the procedure lasted about an hour, and involved the implanting of two teeth into a woman’s mouth. The artificial teeth, created using 3D printing technology, were fitted within a margin of error of 0.2 – 0.3 mm — the standard required for the type of surgery the robot was performing. Prior to the beginning of the operation, human medical staff positioned orientation equipment onto the patient. They also programmed the robot’s movements, as well determined the angle and depth needed to properly implant the teeth. So while the robot did perform the operation on its own, it still needed people to set things up. The Chinese robot dentist was created in response to a shortage of qualified human dentists and the disconcerting number of human-made errors. Dentists are always working within a small space within the mouth, and are sometimes unable to see what they’re doing. According to the South China Morning Post, a survey discovered over 400 million people are in need of new teeth, and of the one million implants performed each year, a number of low quality dental surgeries can cause more problems for the patient. The robot dentist’s success will go a long way to support the development of other such robotics and reduce the number of issues that arise as a result of mishandled operations. Over the years, artificial intelligence (AI) and robotic assistants have been used to aid dentists with other procedures like root canal surgery and orthodontic operations as well as training students. In March, a dental assistant known as Yomi received approval from the U.S. Food and Drug Administration, which is also expected to improve the success of dental procedures. Outside of dentistry, AI and robots have also been used to successfully complete brain surgery and operate inside the human eye. They may still need our help getting started and require our presence alongside them, but it’s only a matter of time before we can simply sit down and let them do all of the work.